Sleep is mysterious thing. It can be evasive and restless, or it can leave us feeling relaxed or energized. All we know for sure is that it’s important, and we get it where we can -- in hours at night or in naps during the day. The big question is, how much do we need? 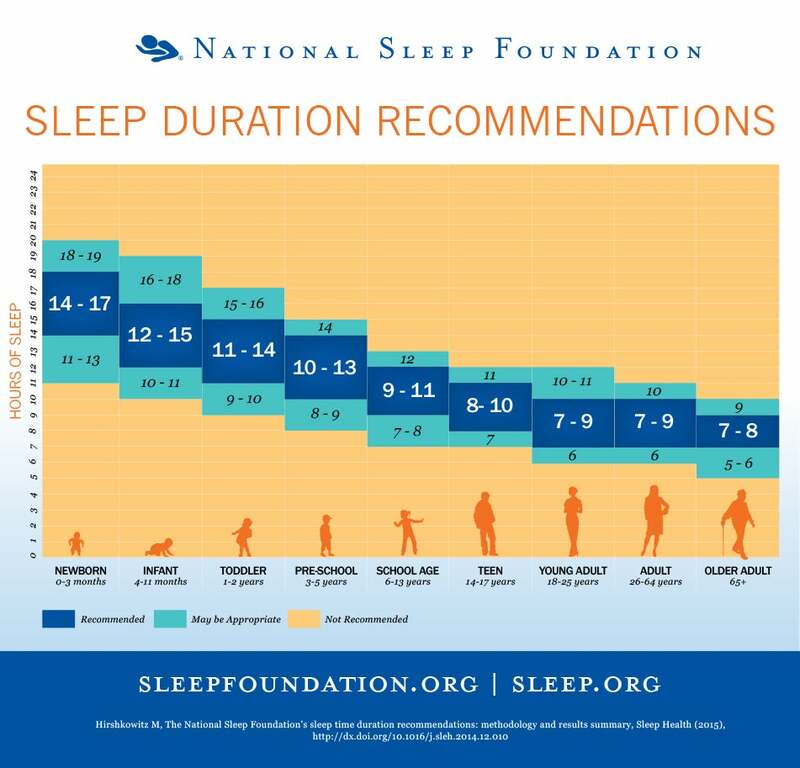 The National Sleep foundation recently revised its recommended sleep amounts for different age groups. While eight hours of sleep each day is within the range of the recommended time for teenagers, adults and seniors, it’s often true that people would benefit from more hours of sleep. For adults ages 18 to 25, sleeping for anywhere between seven to nine hours is recommended, but 10 or even 11 hours may be appropriate for some people. Teenagers need even more. And depending on how your body works, it might need as little as six hours of sleep per night. Go figure. The experts at the National Sleep Foundation have put their new guidelines in the handy infographic below. If you’re not feeling rested each morning, you might consider changing up your sleep habits.